Applied Materials is one of Silicon Valley’s great success stories and it helped propel the digital revolution. Jim Morgan was its CEO for nearly 30 years. When he retired Applied Materials employed over 15,000 people in 18 countries. Applied Wisdom: Bad News Is Good News If You Do Something About It is both an autobiography and a book of pragmatic business advice. Jim Morgan’s management techniques are not reserved for high tech. He shows how the same approaches, tools, and values work at any scale, from start­ups to middle management in a global corporation. Through his later career in philanthropy, Morgan learned that his techniques are effective in the non-profit sector as well. Rich in stories and practical examples, it’s a must-­read for those seeking a timeless and proven management manual. Along the way, Jim collected and tested his management principles in such realms as the military, the diversified conglomerate Textron, in venture capital, on corporate boards and government commissions, and in the non-profit arena. He has served as both a California and a global director, and co-chair of the Asia Pacific Council of The Nature Conservancy (TNC). More recently he and his wife, Becky, founded the Northern Sierra Partnership, which fosters collaboration among conservation organizations in order to preserve and restore one of the world’s great mountain ranges. Jim also served as Vice Chair of President George W. Bush’s President’s Export Council and as an adviser to President Bill Clinton and Congress on U.S.–Pacific trade and investment policy. He was an active member of the Young Presidents’ Organization (YPO). He holds a degree in engineering and an MBA from Cornell. He co-authored the 1991 book, Cracking the Japanese Market: Strategies for Success in the New Global Economy. Among Jim’s many recognitions are the Semiconductor Industries Award, the IEEE Robert N. Noyce Medal; the Silicon Valley Leadership Group Lifetime Achievement; the Global Humanitarian Award; the National Fish and Wildlife Foundation Award; and TNC’s Oak Leaf Award. Joan O’C. Hamilton is a San Francisco Bay Area-based writer who works with executives, elected officials and candidates, scientists, and other high-profile individuals on book projects and other branding and positioning content. Joan has extensive experience in magazine journalism and is a former bureau chief, columnist, and correspondent for Business Week magazine. She is a contributing editor at Stanford Magazine and her work has appeared in The New York Times, Town & Country, Wired, The Boston Globe, and many other publications. Excellent managers are not born. They develop by learning: to identify critical driving forces in their environments; to build momentum by timely decision-making; to collaborate in a transparent and ethical manner; to implement basic structures and processes in an overall climate of respect. Applied Wisdom is designed to help anyone who wants to learn to make better decisions, manage more effectively, and more successfully lead organizations. I talk about my personal journey, embedding in my stories a set of tips and insights that have worked for me over a long career that began in the low-tech world of farming and vegetable canning but eventually led me to manage high-tech innovation on a global scale. As my involvement in non-profit organizations increased, I realized those same tips work in the non-profit sector as well. I was motivated to share them in a way that I hope is useful to a wide audience of managers working their way up the ladder or running small organizations. 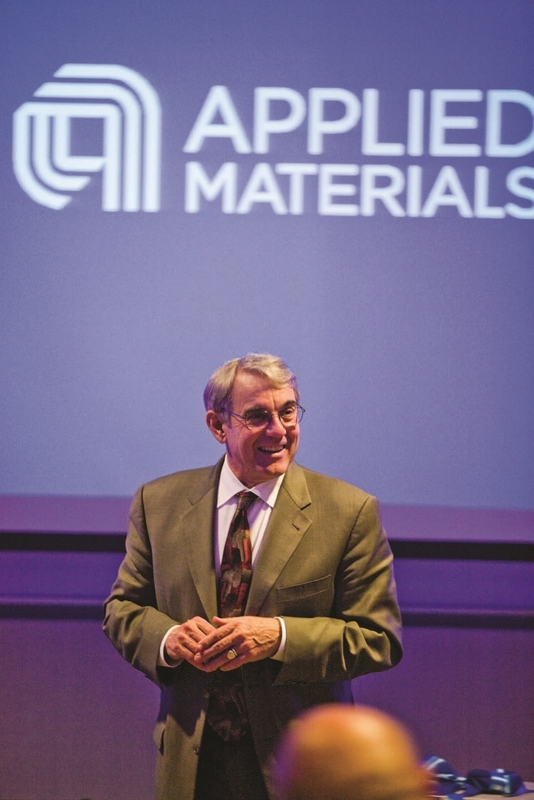 Willem P. RoelandtsChairman of the Board of Applied Materials, Inc. 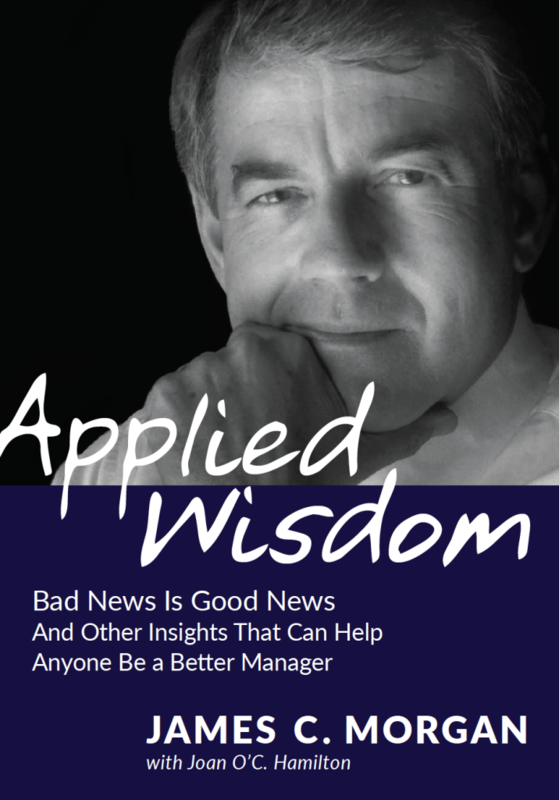 Applied Wisdom is a treasure trove of useful insights from a true master of leadership in the business of technology. Applied Wisdom is a must-read for anyone who wants to have a more productive, focused and motivated team. If you want to be a better manager follow Jim’s straightforward prescription and tips.